Mars Theatre became Lighthouse Tabernacle I believe in 1959. 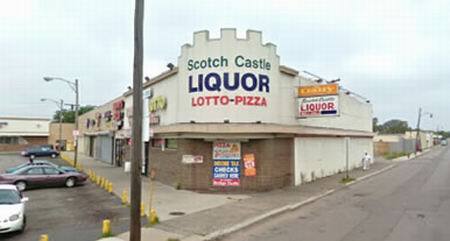 The address was 19009 Conant Detroit Michigan. The Pastor and founder was Rev Allie Taylor. Lighthouse Tabernacle was there from 1959 to 1974. They sold the building and moved to 8801 Woodward, Detroit changing then the name to Lighthouse Cathedral. The arial view is a little off. The Mars Theater was just a bit south of the picture. It was just south of 7 Mile at Conant. I am in my 40''s and did not get the pleasure of going to the theater back in the day. However, I remember it standing in the 70''s. It became a church (Lighthouse Cathedra, I believe) for a while. Then, it was torn down and a funeral home was built (owned an operated by the Solomon''s Temple Church, less than a mile from there). The funeral home existed briefly and closed. It was empty for a long time. Then in 2007 or 2008, pastor of the Solomon''s Temple Church built his home there. Interesting history for such a a little space of land. Keep posting. The photo is showing the wrong corner. What is being shown is the shopping center that used to house the Cunningham''s drug store, the SS Kresge''s store and the A&P Supermarket. The Mars was actually just south of the area depicted in the photo. You missed the mark by about 100 yards. I also believe it may have been open later that 1958. I am sure of it. I used to go there each Saturday, in the fifties and see two features and a bunch of cartoons and a newsreel for about 15 cents This was the fare on Saturdays. It was a great venue for us who lived in Conant Gardens, and most of the kids I grew up with went there on Saturdays together. 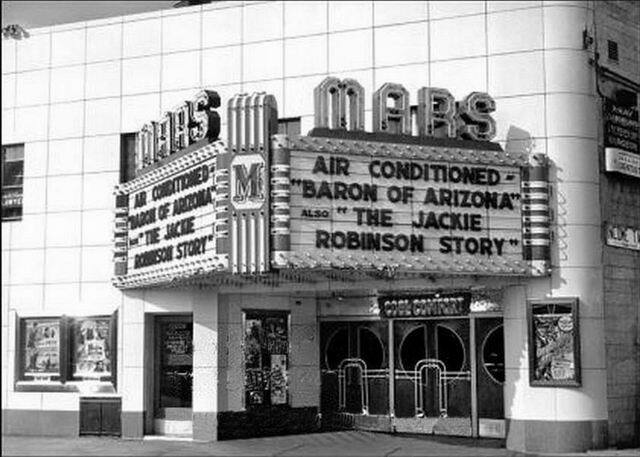 April 1959 - The sixth art film house has made its debut here, with Julius and Raymond Gugala converting the Mars in Hamtramck into the Mars International for the showing of all-color films. The opening feature was Alaska, the Great Land, a particularly timely subject as Detroiters followed with much interest the adventures of their onetime neighbors, the 59ers who went to Alaska for homesteading.